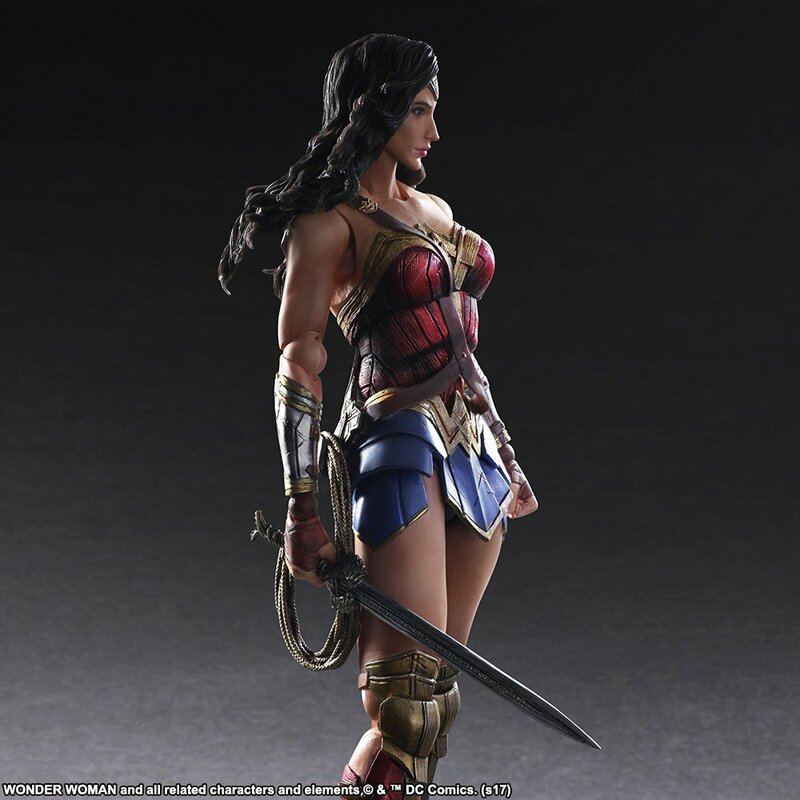 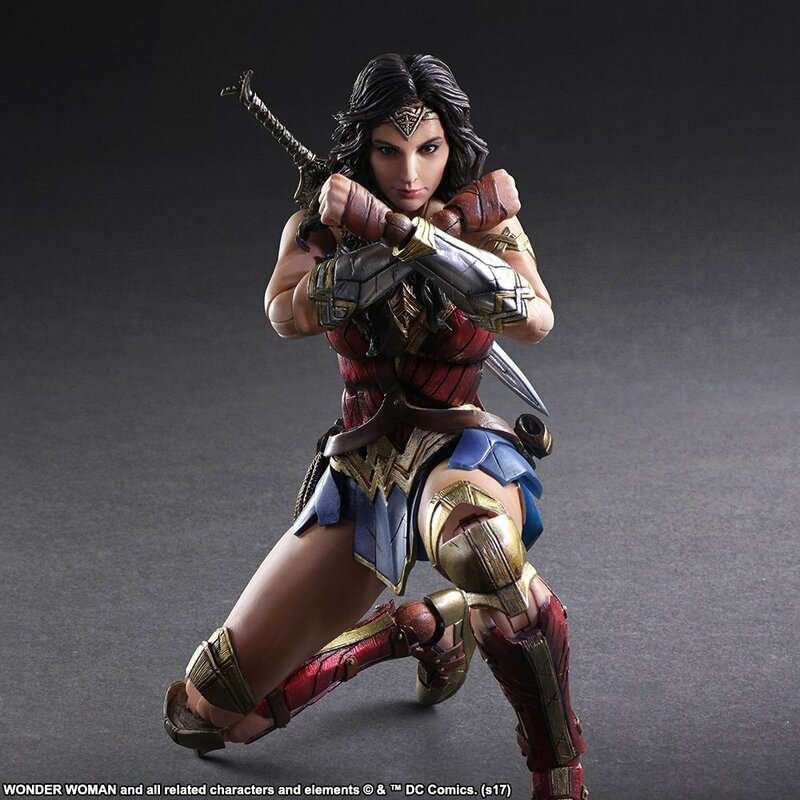 Square Enix has released photos and details for their upcoming Wonder Woman Play Arts Kai Figure. 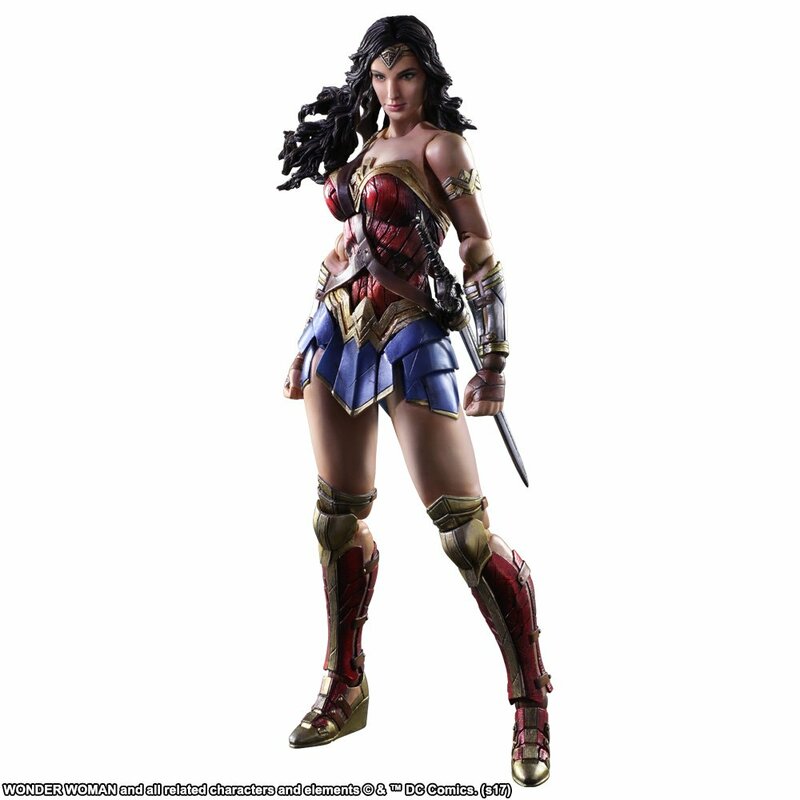 The new release is based on Wonder Woman’s appearance in her smash hit new film. 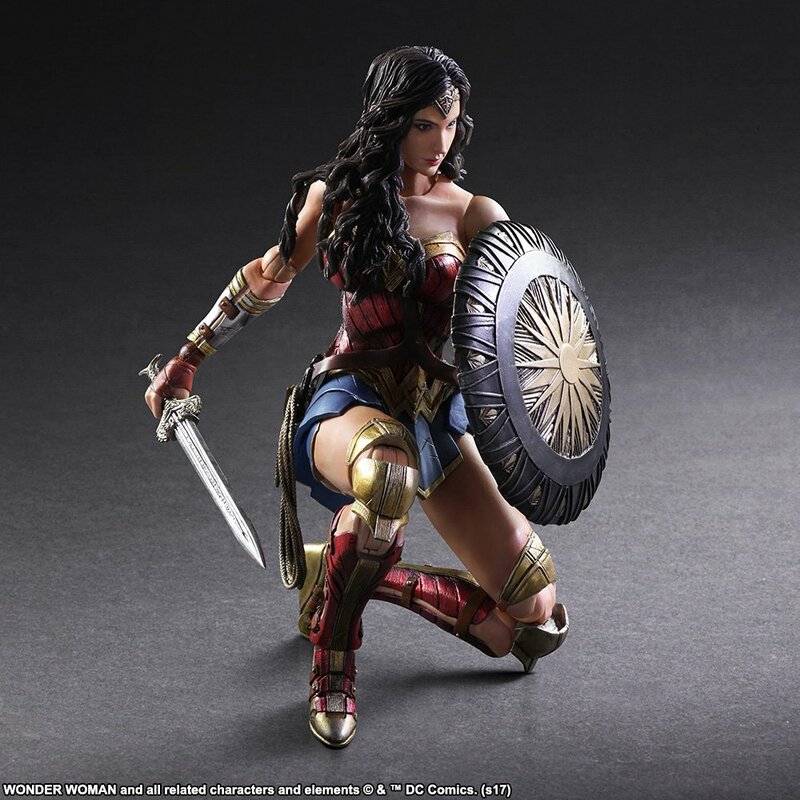 The figure will stand about 10″ tall. 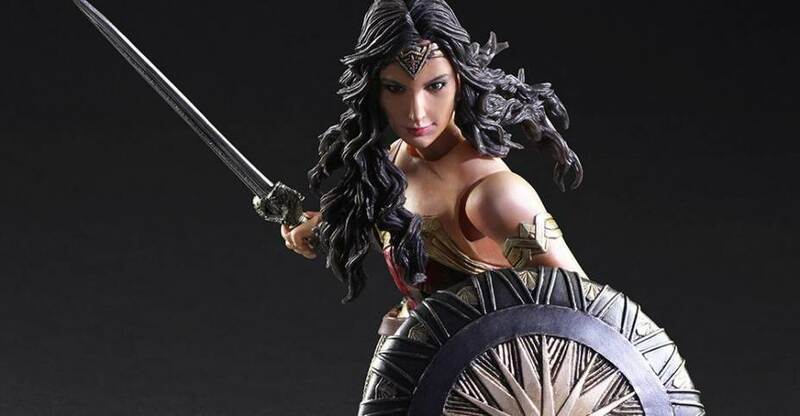 She will include multiple interchangeable hands, a lasso of truth, a sword, a shield and a figure stand. 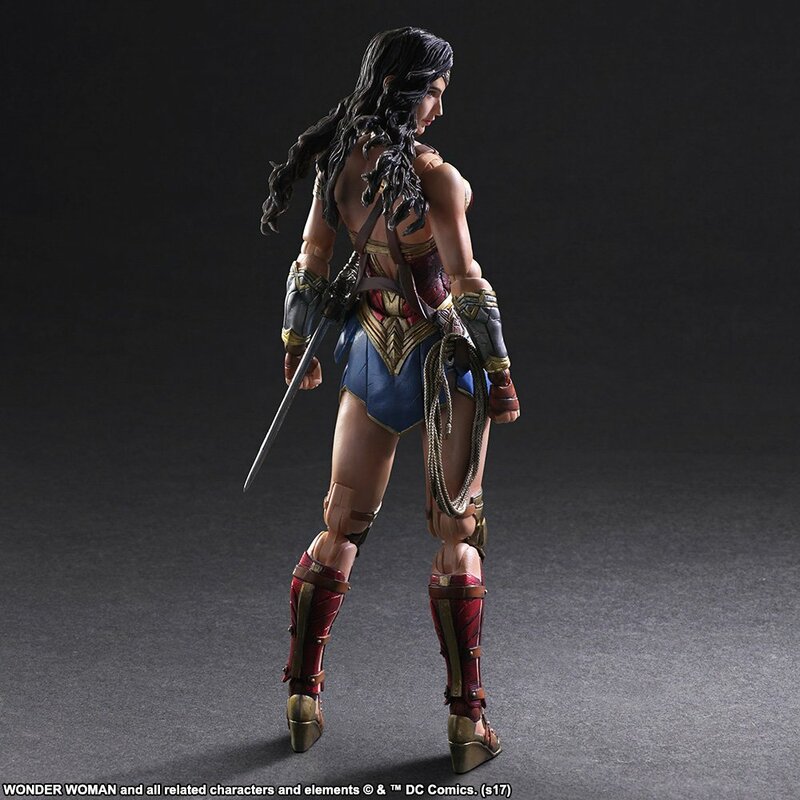 The sword and the Lasso of Truth can both be stored on her hip. 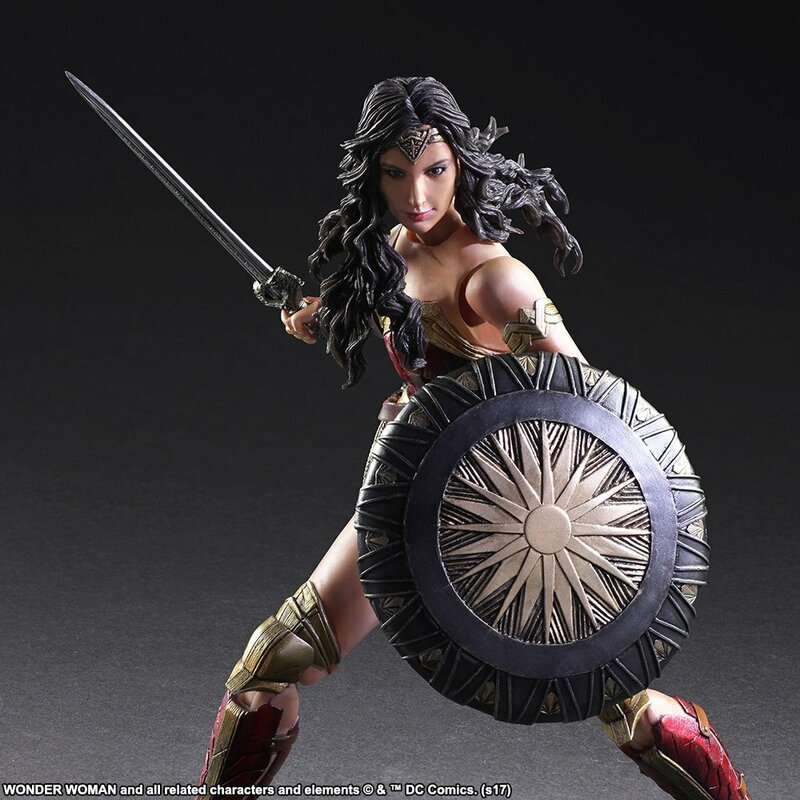 The Play Arts Kai Wonder Woman Figure is scheduled for release in Japan this September. 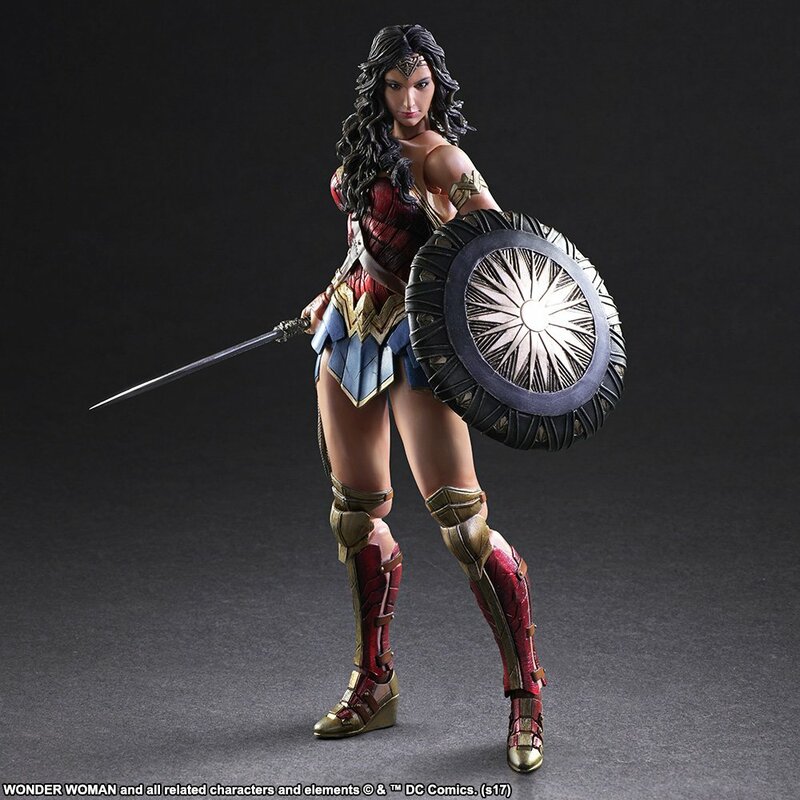 The figure is priced at 14,800 Yen (about $134 USD). 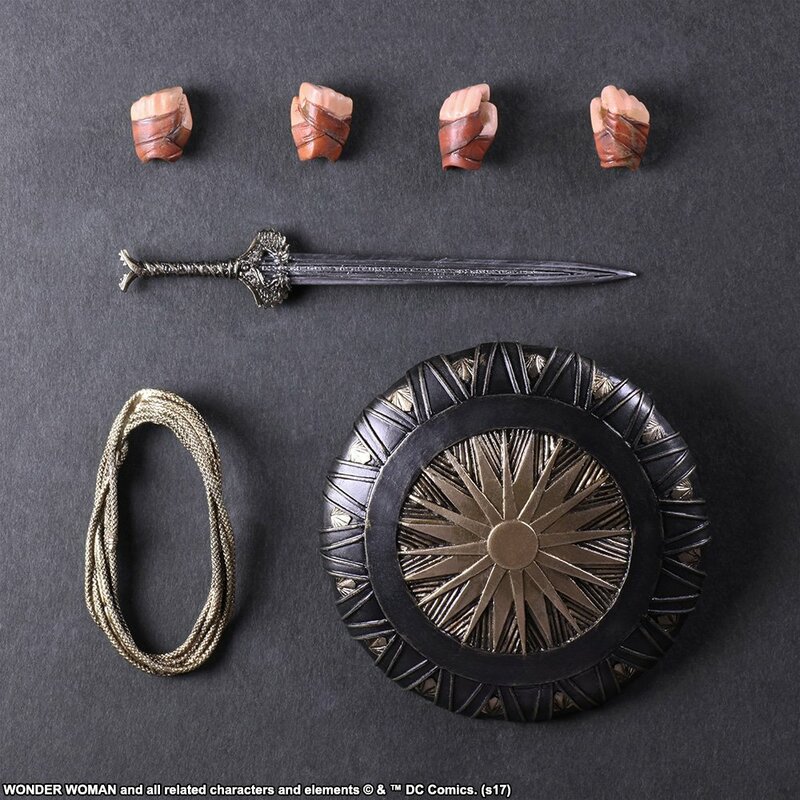 Read on to see the new photos. 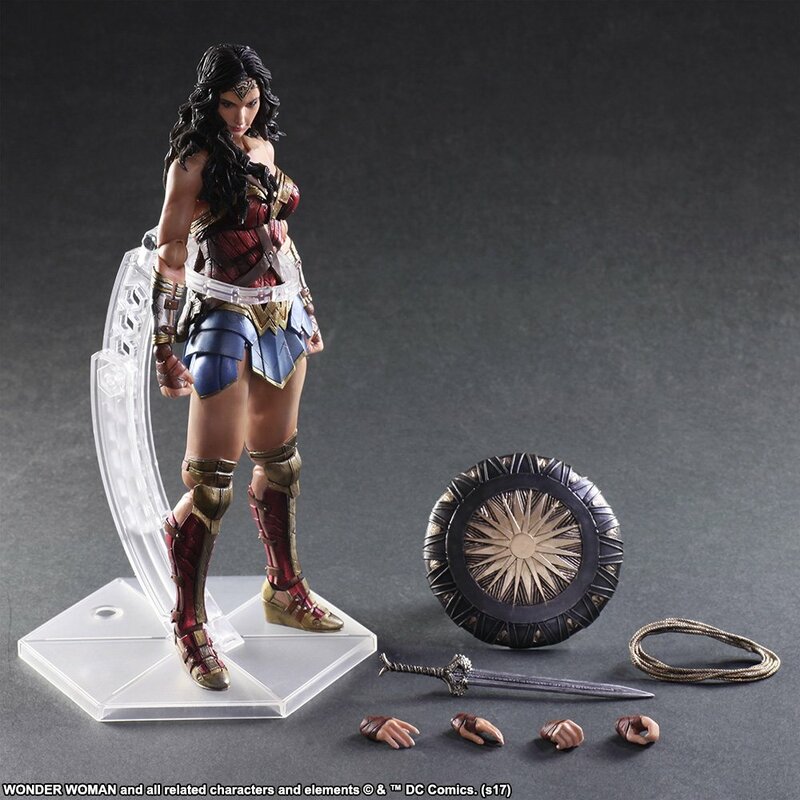 Dang if I get this one, I would need to get the rest of the DC ones haha...This one looks decent though.